Some functions related to system partition cannot be completed when operating system is running. 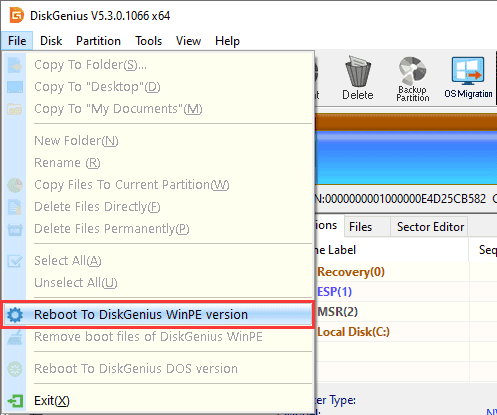 In this case, you can boot to DiskGenius WinPE version. It may take several minutes to create Windows PE environment for the software. Step 2 Click OK button and computer will restart to boot to DiskGenius WinPE version.